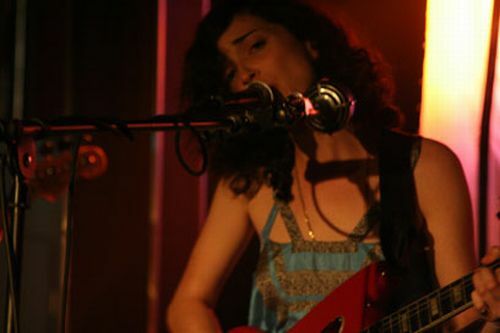 Without a doubt, St. Vincent’s solo performance at Largo, this past May, stands as my favorite show thus far in 2007. Certainly high praise when you consider it was just Vincent (Annie Clark), her guitar, a kick drum, and piano. + Visit The Hype Machine for additional St. Vincent MP3s. St. Vincent @ Bowery Ballroom NYC 7.17.